Strategy, Design, Deployment & Production. offerings to life on any size screen. 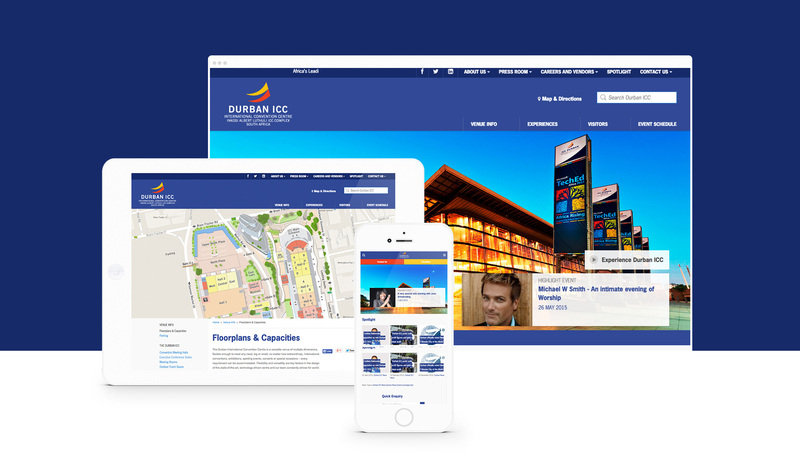 As one of Durban ICC‘s agency partners we worked with them to design and develop a new website that addressed issues from the previous website but also create a platform that prioritised the end users needs, people needed to find the most popular functions of the ICC.co.za the moment the arrived on the site: a news and events carousel, interactive directions, parking, nearby hotels and service offerings. 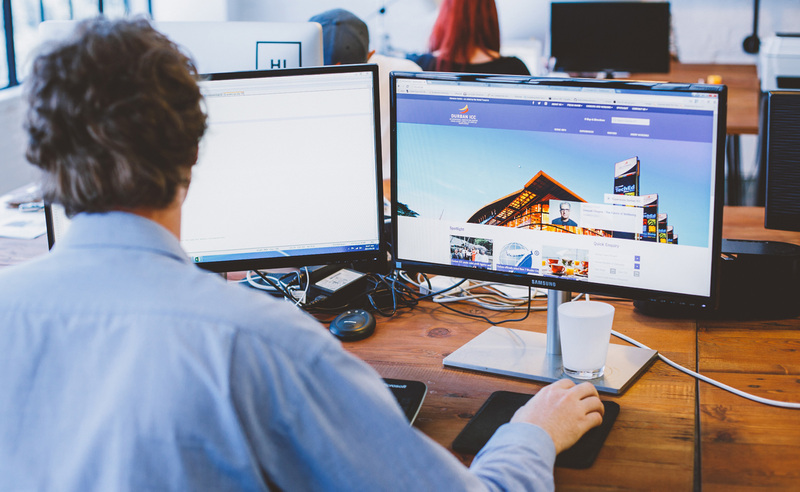 We fully integrated a partner hotel finder into the site for the first time, allowing users to instantly find and locate the nearest hotel or direction from their hotel. With an easy to use admin system the ICC can quickly push events and notifications. © 2019 Hello Square. All Rights Reserved.